Custom Forms from Thomson Reuters allows you to convert any of your firm documents: intake forms, correspondence, pleadings, agreements, etc. 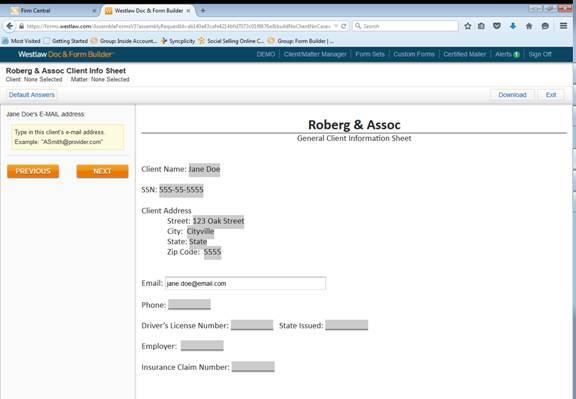 and automate the process of assembling them with your client and matter information. The second step is to code your document with the help of an Attorney Trainer from Thomson Reuters. You do this by selecting question tokens from a default list or from a custom list you create. These tokens are inserted into the document where you wish your client/matter information to populate. Next, you upload your document to Westlaw Doc & Form Builder. After being uploaded, the document will be accessible to you on any computer, laptop or tablet. The document is now automated. Upon opening the form, you enter your client and matter information. 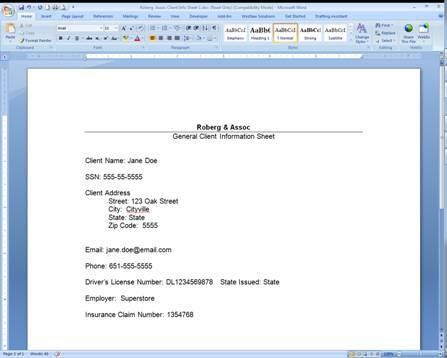 This information saves on Doc & Form Builder and will auto-populate into any other documents built for that same client and matter. This will save time and ensure consistent, accurate drafting. 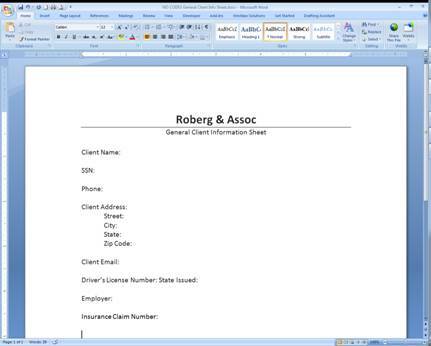 When finished entering client/matter information, the form can be downloaded into MS Word or Word Perfect. 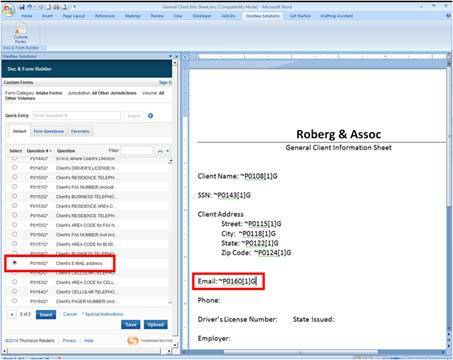 The client and matter information is seamlessly integrated into your form template and will auto-fill into any subsequent forms!